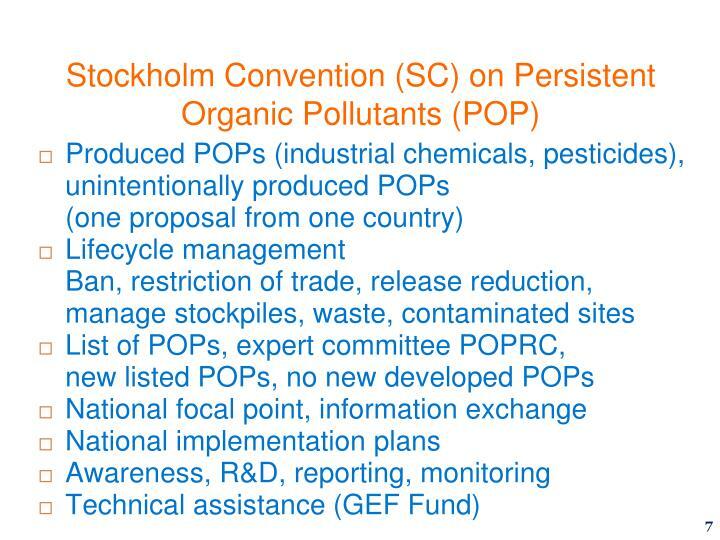 The Stockholm Convention is a global treaty to protect human health and the environment from Persistent Organic Pollutants (POPs). POPs are a group of chemicals which persist in the... The Stockholm Convention on Persistent Organic Pollutants (Stockholm Convention) aims to protect human health and the environment by banning the production and use of some of the most toxic chemicals known to humankind. The convention became international law in May 2004, was ratified by New Zealand in September 2004, and entered into force for New Zealand on 23 December 2004. The Stockholm Convention on Persistent Organic Pollutants (Stockholm Convention) aims to protect human health and the environment by banning the production and use of some of the most toxic chemicals known to humankind. The convention became international law in May 2004, was ratified by New Zealand in September 2004, and entered into force for New Zealand on 23 December 2004.